Nestled in the Nilgiri hills, Udhagamandalam, often abbreviated as Ooty, is one of the major hill stations of South India. Bursting with natural splendour comprising mountains, lakes, waterfalls and tea plantations, Ooty is also peppered with colonial-style bungalows, Hindu temples, and historical churches. All these have made Ooty an immensely popular hill station among Indian and western tourists alike. 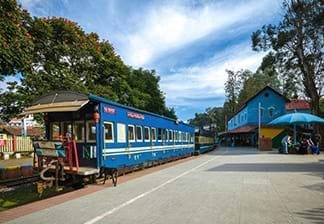 There is plenty to do and see in Ooty. 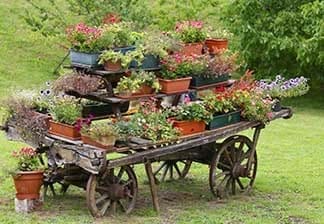 To begin with, there is Ooty Botanical Gardens. 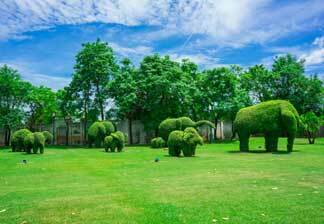 Significantly, the Botanical Garden has more than 1000 species of exotic plants, ferns and trees. Another must visit spot is the famous Ooty Lake, an artificial lake, which was constructed in 1824, and is a fairly popular boating destination today. Doddabetta Peak is another not-to-be-missed destination. A Telescope House at the very top promises panoramic views of the valley. 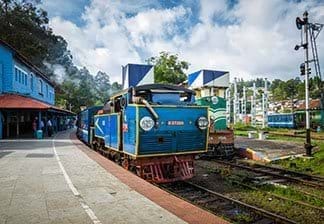 Whether it’s hiking, trekking, fishing, or mountain biking, or enjoying a joyride on the quaint toy train to Conoor, there is no lack of things to do in Ooty. 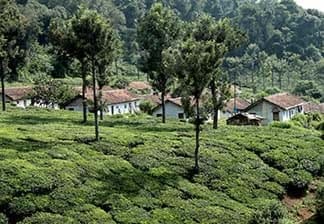 Tea enthusiasts must plan a visit to the tea factory, where they can watch tender tea leaves being processed and packaged. Ooty is especially famous for its buns and cakes, sold at the bakeries in town. Other scrumptious delights to be enjoyed at Ooty’s many eateries include Chicken Chettinad, Uttapam and Pongal. However, Ooty’s restaurants are equally reputed for serving delicious western and Indo-chinese dishes. There are several comfortable hotels and resorts in Ooty for groups, families and solo travellers. Whether one is a history-buff, an adventure-enthusiast or a nature-lover, enchanting Ooty definitely has something in store for everyone. Nestled in the Nilgiri hills, Ooty is undoubtedly one of most spectacular tourist locations in India. Ooty is known for its picturesque mountains that are covered with dense vegetation, tea gardens, and eucalyptus trees. Be it the conventionally-populous spots or the lesser known areas, Ooty has a vast bounty of sights to attract tourists from all over the country. 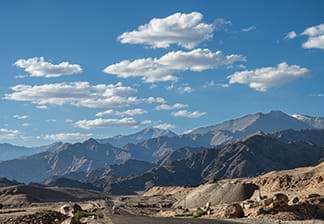 To make your stay more enjoyable in this town, you can browse through the Fortune hotels in Ooty.